PHOENIX, June 20, 2016 Republic Services, Inc. ("Republic") (NYSE: RSG) today announced that it has priced its cash tender offers to purchase up to $600 million combined aggregate principal amount (the "Tender Cap") of the Notes identified in the table below (collectively, the "Notes"). The terms and conditions of the tender offers are described in the Offer to Purchase, dated June 6, 2016 (the "Offer to Purchase"), and the related Letter of Transmittal and remain unchanged except as modified by Republic's press release earlier today that increased the Tender Cap from $500 million to $600 million. The Total Consideration for each series of Notes is based on the applicable reference yield plus a fixed spread, in each case as set forth in the table below, and is payable to holders of the Notes who validly tendered and did not validly withdraw their Notes at or prior to 5:00 p.m. ET on June 17, 2016 (the "Early Tender Time"), and whose Notes are accepted for purchase. The reference yields listed in the table below were determined at 2:00 p.m. ET on June 20, 2016, by the Dealer Managers (identified below). The Total Consideration for each series of Notes includes an Early Tender Payment of $50 per $1,000 principal amount of Notes validly tendered and not validly withdrawn by such holders at or prior to the Early Tender Time and accepted for purchase. Holders of Notes who validly tender their Notes after the Early Tender Time but at or prior to 11:59 p.m. ET on July 1, 2016 (the "Expiration Time"), and whose Notes are accepted for purchase will receive the applicable Tender Offer Consideration, which is equal to the applicable Total Consideration minus the Early Tender Payment. * The Total Consideration includes an Early Tender Payment of $50 per $1,000 principal amount of Notes. Holders whose Notes are accepted for purchase pursuant to the tender offers will also receive accrued and unpaid interest on their purchased Notes from the last interest payment date for such Notes to, but not including, the Settlement Date. Subject to the terms and conditions of the tender offers, the Settlement Date will follow promptly after the Expiration Time and currently is expected to be July 5, 2016. Republic previously announced that the total aggregate principal amount of Notes validly tendered and not validly withdrawn at or prior to the Early Tender Time was approximately $575 million, including $249,468,000 of 6.200% Notes due 2040, $214,330,000 of 5.700% Notes due 2041, $17,215,000 of 7.400% Debentures due 2035 and $93,782,000 of 6.086% Notes due 2035. Depending on the amounts of Notes tendered at the Expiration Time, Republic may not purchase Notes with Acceptance Priority Levels 2, 3 or 4. The amounts of each series of Notes that are ultimately purchased in the tender offers will be determined in accordance with the Tender Cap, the Acceptance Priority Levels and the proration procedures described in the Offer to Purchase. As a result, a holder who validly tenders Notes pursuant to the tender offers may have all or a portion of its Notes returned to it, and the amount of Notes returned will depend on the overall level of participation of holders in the tender offers. The tender offers may be amended, extended, terminated or withdrawn in whole or with respect to one or more series of Notes. The tender offers are not conditioned upon any minimum amount of Notes being tendered but are subject to the satisfaction or waiver of certain conditions, including Republic obtaining available funds through a debt financing to pay for all Notes accepted for purchase in the tender offers on terms and conditions acceptable to Republic, in its sole discretion. Republic has retained Barclays Capital, BofA Merrill Lynch and J.P. Morgan to serve as the Dealer Managers for the tender offers. Barclays Capital may be contacted at (800) 438-3242 (toll free) or (212) 528-7581 (collect), BofA Merrill Lynch may be contacted at (888) 292-0070 (toll free) or (980) 387-3907 (collect) and J.P. Morgan may be contacted at (866) 834-4666 (toll free) or (212) 834-3424 (collect). 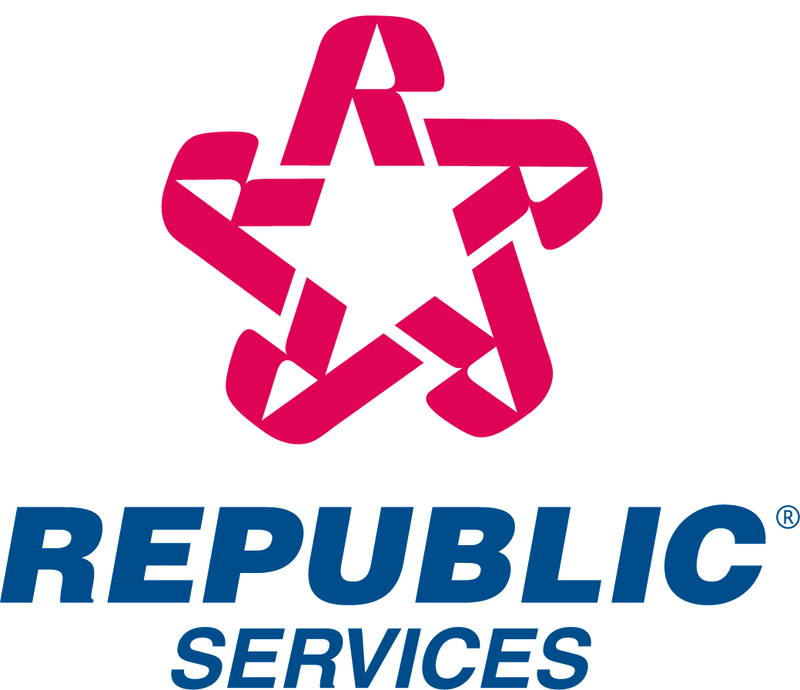 Republic has also retained Global Bondholder Services Company as Tender Agent and Information Agent. This press release is not an offer to purchase or a solicitation of offers to sell any securities, which may be made only pursuant to the terms of the Offer to Purchase and the Letter of Transmittal.The tender offers do not constitute an offer to purchase Notes in any jurisdiction in which, or to or from any person to or from whom, it is unlawful to make such offer or solicitation under applicable securities or blue sky laws. None of Republic, the Tender Agent, the Information Agent, any of the Dealer Managers or the trustee for the applicable series of Notes is making any recommendation as to whether holders should tender Notes in the tender offers. The disclosures in this press release include "forward looking statements" within the meaning of the federal securities laws concerning the proposed tender offers. The terms of, and Republic's ability to complete, such transactions will depend upon prevailing market conditions and other factors. The forward-looking statements are subject to these and other risks and uncertainties that could cause actual results to differ materially from future results expressed or implied by such forward-looking statements.